I’m not saying outline icons means bad styling (although if you consider cognition, they are more difficult to understand in a glimpse). What I’m saying is: are they the best choice for your product? First, there were the glossy and skeuomorphic Apple interfaces, then we saw tiles and flat Microsoft brought up in Windows 8, outline icons again by Apple, now we got Material Design by Google… Tons of designers were like “OMG it’s so nice, I gotta use it on my next project”. Every single time they just followed those graphic trends, was it really good for the product? How are you supposed to know, should you do an A/B test? No (or at least not only). The key is branding. What are your brand values, what is the message you want to convey? What are the feelings you want your public to feel? It’s about branding, it’s about psychology, not about trendy styles. It sounds silly but a lot of people seems not to realize it. And just to clarify, I’m not referring to design patterns, but to visual “fashioness”. The problem about trying to be stylish by doing what everybody else is doing is that you’ll end up being just… like everybody else. Common, not stylish. So give it a little time to think about your visual design choices. 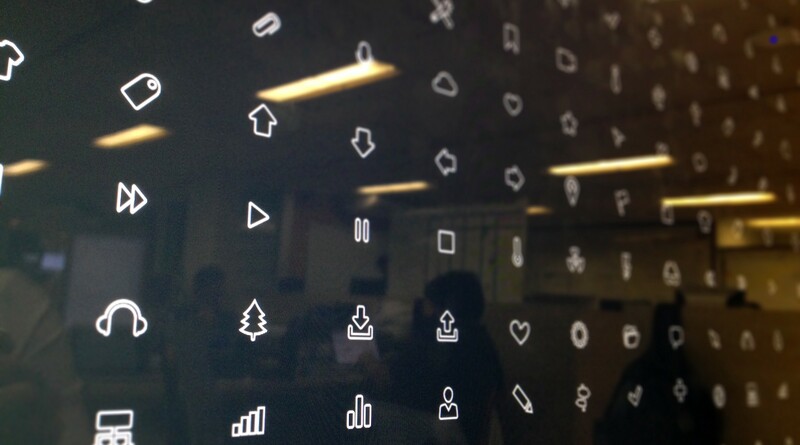 Because it’s so easy to go with the cool outline icons, but they may not be helping your brand.